Blog - How The Dried Fruits And Nuts Are Beneficial During Pregnancy? How The Dried Fruits And Nuts Are Beneficial During Pregnancy? Every lady wants to be a mother, as it is a situation for happiness for her. During pregnancy,maintaining a right diet is a challenging task for every woman. As it is related to the health of an unborn baby, you need to focus on a healthy diet. When it comes to the selection of a healthy diet, you need to be very choosy. Make sure that your diet must cover a great range of foods. It is also important to know that your healthy diet must contain those foods, which compose of essential nutrients, like proteins, minerals, vitamins and fibers. The best option: Dry fruits and nuts! Dry fruits and nuts are a great combination to be included in the diet regimen of a pregnant woman. They can be eaten less than the raw ones. They are well-known to provide a pregnant woman a number of health benefits. They give a plenty of energy to you and your unborn baby. Moreover, they also prevent many symptoms of pregnancy, like high blood pressure, heartburn and nausea. When it comes to nuts, they contain a higher amount of fiber, both soluble and insoluble, and minerals and vitamins. Fiber offers the best protection against hemorrhoids and constipation. It also puts a limitation on the weight gain and maintains the blood pressure. 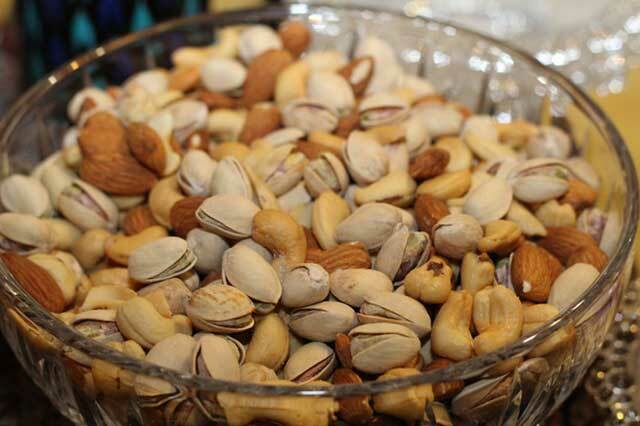 Almonds, Brazil nuts, hazelnuts and walnuts are some forms of nuts. Apricots, apples, dried dates and raisins are examples of dry fruits that must be considered during pregnancy. Minerals are also an important part of a pregnant lady diet. Iron, copper, calcium, magnesium and manganese are several minerals that are good for a pregnant woman. These minerals can be taken from many dry fruits and nuts, which include dried dates, apples, walnuts, coconuts, raisins, pine nuts, cashews, pistachios, and much more. Some minerals are needed for the development of nerves, muscles, ligaments and skeleton in the fetus. Proteins help your unborn baby to gain weight and grow properly. Walnuts, pistachios, dates, and dates are rich sources of protein. Vitamins help reduce the risk of high pressure and pre-eclampsia throughout the last weeks. Remember that dry fruits and nuts are great sources of calories and fat. It is important to take them in the natural state. Avoid frying them. Dry fruits must be consumed in moderation, like sticking to one handful of dry fruits or nuts for one day.